Rutgers University is a public research university in New Jersey. The Rutgers Division of Global Affairs organizes a weekly Capstone Colloquium Series, which has for theme this semester Justice, and the Global Environment. At this occasion, Alice Vadrot will speak about “Epistemic Selectivities in Global Environmental Politics: The Case of Biodiversity”. The United Nations Convention on the Law of the Sea (UNCLOS) is an international treaty that sets out the legal framework for ocean activities and boundaries. While UNCLOS defined marine Areas beyond National Jurisdiction (ABNJ), commonly called the high seas, no international instrument exists to protect the exceptional marine biodiversity from these territories. In order to address this challenge, the UN General Assembly aims to develop an international legally binding instrument under UNCLOS on the conservation and sustainable use of marine biodiversity of areas beyond national jurisdiction (resolution 69/292 of 19 June 2015) by 2020. Between March 25, 2019 and April 5, 2019 the 2nd Session of the Intergovernmental Conference on BBNJ will take place in New-York. Two members of the MARIPOLDATA team have been nominated by the International Studies Association (ISA) to participate which will allow them to pursue MARIPOLDATA WP1 research objectives aiming at observing how governments position themselves within these negotiations and how is scientific knowledge used. The International Studies Association (ISA) is one of the oldest interdisciplinary associations dedicated to understanding international, transnational and global affairs. The International Studies Association’s 60th Annual Convention will take place in March 2019 in Toronto. This conference brings together international affairs experts from across the world to discuss issues related to international, transnational and global affairs. 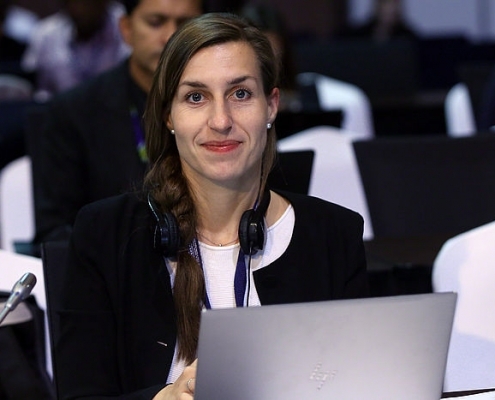 At this occasion, Alice Vadrot will participate in Panel FA 81 “Great Power Responsibility and Global Environmental Protection” organized by Barry Buzan (LSE). She will present a co-authored article written with Hannah Hughes (Cardiff University). Open Panel – 4S New Orleans. 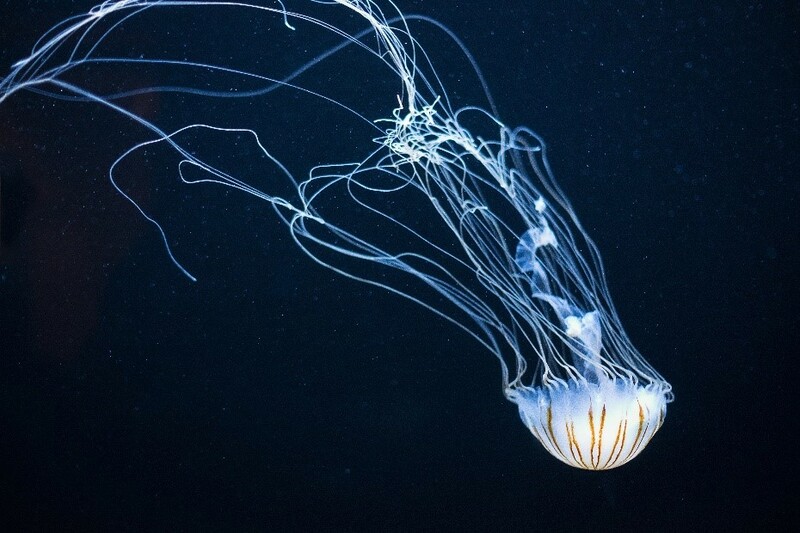 Healthy oceans contribute significantly to combating climate change. However, a lack of ocean scientific knowledge continues to challenge efforts to protect ocean ecosystems. This gap is steadily closed by global initiatives like the International Census of Marine Life programme. Furthermore, detection methods, observing infrastructures and data management have significantly improved over the past two decades, reconfiguring how oceans are studied and monitored. In many respects, the study and monitoring of the oceans represent a new form of knowledge production. Challenges include producing systemic insights into ocean ecology; working toward industrial-scale production of innovations; providing scientific data to support environmental policy; and operating against the backdrop of a highly research-focused academic system. These developments are amplified by data scarcity, complicating the command of funding and shaping policies and practices of studying, monitoring and protecting the oceans. This panel invites contributions on the socio-technical, epistemic, (geo)political, historical and ethical dimension of these developments, including case studies related to global and national policies and practices of ocean science and monitoring. Which dynamics occur when ocean science becomes (even more) subject to multiple valuation registers, including those associated with steering efforts toward more interdisciplinary engagement, societal relevance and demands from policy-makers? How do monitoring policies and practices contribute to the scientific representation of the ocean and its manifestation as a site, where different technological innovations compete for scientific legitimacy and marketability? What are key innovations in ocean science and marine technology and how do they shape the policies and practices of the field? On the 6th of February Dr Alice Vadrot visited Cardiff University to discuss the Work-In-Progress paper entitled ‘Conceptualising the establishment of intergovernmental organisations: Learning from the IPCC and IPBES’, co-authored with Dr Hannah Hughes. Dr Hannah Hughes is a lecturer in International Relations and Co-director of the Environmental Justice Research Unit at Cardiff University. The two have a long-standing collaborative relationship having first started working together in September 2015. Among other publications, they have a forthcoming article titled ‘Weighting the world: IPBES and the struggle over biocultural diversity`, which will be published as part of a special section in Global Environmental Politics. We are pleased to announce that the MARIPOLDATA Kick-off meeting will take place on May 21, 2019 in Vienna. 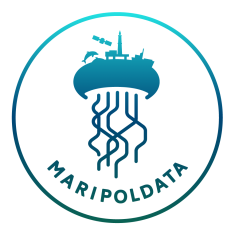 After input from experts representing the fields of marine biodiversity science and politics, Dr. Alice Vadrot and her team will present MARIPOLDATA and open the floor for questions and debate. The event is open to the interested public. Further announcements will be made as soon as possible via email (you can sign up to our newsletter list here) and on this page. Join us on a journey through the world of EU-funded early-stage research. Our academics present their research projects and talk about their life at the University. During the Science Talk, twelve awardees of the highly competitive ERC Starting Grant funding scheme present their major projects. Furthermore, six young postdoctoral fellows of the Marie Skłodowska-Curie mobility scheme talk about their research. In their presentations, these academics talk about the relevance of their results for the advancement of research and discuss how their research aims at promoting social and economic developments. Seize this opportunity to ask our researchers questions and engage in a dialogue with them. Beim Science Talk am Dies Academicus 2019 erzählten zwölf ERC Starting Grant-PreisträgerInnen und sechs Marie Skłodowska-Curie Fellows aus ihrem Alltag und beantworteten – bei einem Glas Wein – die Fragen der Tischgäste. Zuvor wurden Preise und Stipendien an NachwuchsforscherInnen verliehen. Die Politologin Alice Vadrot erhält als erste Wissenschafterin der Fakultät für Sozialwissenschaften einen ERC Starting Grant. Mit dieser hochdotierten Förderung kann sie ihr Projekt “The Politics of Marine Biodiversity Data” realisieren, in dem sie internationale Umweltpolitik analysiert. Plastikmüll, Verschmutzung durch Chemikalien, Klimawandel und Überfischung haben für die Ökosysteme der Weltmeere dramatische Auswirkungen. Obwohl WissenschafterInnen und Umweltschutzorganisationen schon lange an die internationale Politik appellieren, endlich aktiv zu werden, einigte sich die internationale Staatengemeinschaft erst im April 2018 darauf, bis 2020 ein neues Abkommen auszuhandeln, das unter anderem die Errichtung von Meeresschutzgebieten zum Ziel hat. Doch bis sich die mehr als hundert Staaten einig werden, ist es ein langer Weg mit vielen Sitzungen, Konflikten, Spannungen und Kompromissen. “Genau diesen Schnittpunkt zwischen internationaler Politik und Wissenschaft finde ich unglaublich spannend. 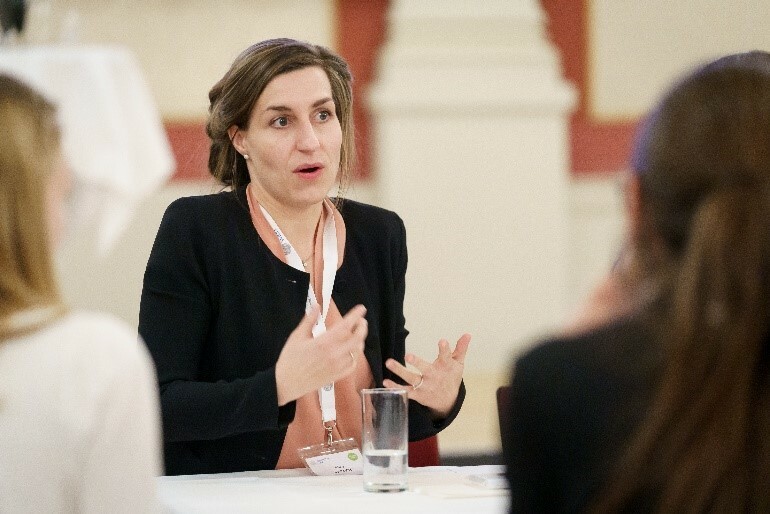 Mich interessiert, wie wissenschaftliche Aspekte in politischen Verhandlungen aufgenommen werden und wie auch umgekehrt Politik die Wissenschaft beeinflusst”, erklärt Alice Vadrot, Politologin an der Universität Wien, die grundsätzliche Fragestellung ihres ERC-Projekts “The Politics of Marine Biodiversity Data”. In ihrem ERC-Start-Preis-Projekt untersucht Alice Vadrot die Haltung einzelner Staaten bei den aktuellen Hochseeschutz-Verhandlungen der UNO.